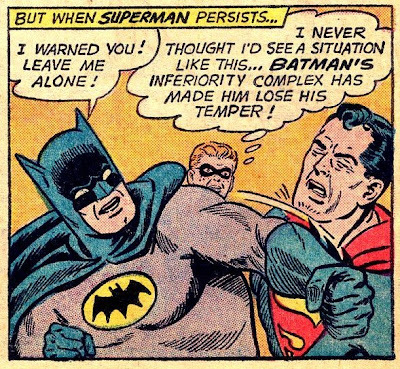 Seriefrämjandets forum » Superhjältar » Batman's inferiority complex? Weisinger appears to have been copying a bit from the Marvel comics, which often featured the heroes bickering. The difference was that in the DC Silver Age universe, everything had to be restored to normalcy at the end of the story, so it was always some sort of temporary mania.